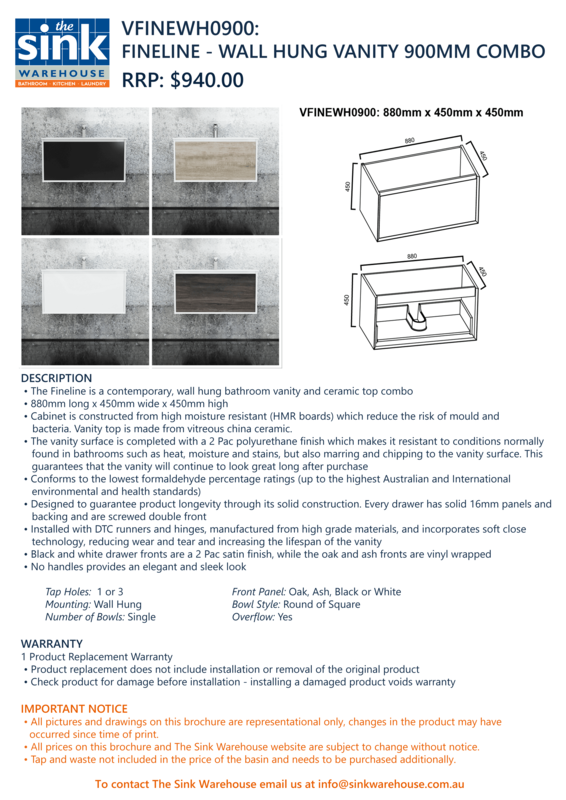 • Click the brochure below to open up a printable product page. • The tap and waste are not included in the price of the basin and need to be purchased additionally. Please see our wastes or basin mixers categories to compare. • All pictures and drawings are representational only, changes in the product may have occurred since time of print. • All prices on The Sink Warehouse website are subject to change without notice.